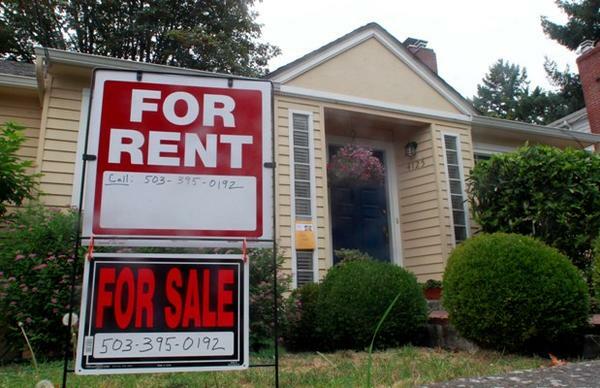 Recent posts on this blog have discussed legal issues relating to house rentals in New York. Many of our clients have second houses, vacation homes, or multiple properties which they rent to tenants. This post will discuss legal issues that arise when an owner seeks to sell a property that is currently being rented to a tenant. The first issue which may arise relates to access to the property in question for potential buyers. We advise that any house lease contain a clause that allows the landlord (and their agents) reasonable access to the property to show it to possible buyers. This will allow the property to be shown to third parties during the tenancy in question. Another issue that will arise is ensuring that the tenant keep the property in good repair. Again, the lease with the tenant should contain a clause relating to the tenant’s obligations in maintaining the property. This may include using the same vendors which the owner/landlord currently uses. We also advise that an experienced attorney draft specific provisions relating to the tenant’s obligations concerning the conditions of the house, such as the vendors to be used for outside maintenance, roof and gutters, and repairs to appliances. Of course, the tenant should be advised by the landlord that the property may be sold. Some leases may contain clauses allowing the tenant to purchase the property, either at a set price or “at a price to be agreed to between the parties.” The problem with the latter clause is that if the parties cannot agree on a price, then there will be no purchase. We would advise using a specific amount in any such purchase option clause, but also having a specific date by which the tenant must exercise their option to purchase. Then, if the option is not exercised, it will lapse and be of no further effect. If the house is being sold to a third party (not the tenant), then another legal issue that must be considered is ensuring that the tenant vacates the property at the proper time. Most standard real estate contracts of sale require the seller to deliver the property free of any and all tenants. This means that it is the seller / landlord’s obligation to have the tenant removed prior to the closing. A tenant with a valid lease has the right to remain in the property through the end of her lease term, provided they are in compliance with the other lease terms, such as paying rent and maintaining the property in good condition. Therefore, any closing should be scheduled after the expiration of the lease term of the tenant. However, it is possible that the tenant refuses to vacate the property at the end of his lease term. If that occurs, the landlord needs to hire experienced counsel to bring a holdover proceeding against the tenant. A holdover proceeding is brought when a tenant’s lease expires, but the tenant does not vacate. Another possible situation may arise when the tenant does not have a written lease at all. In that case, their tenancy is considered month-to-month. In such a case, either party (landlord or tenant) may terminate a month-to-month tenancy by giving the other party thirty (30) day’s written notice. At the end of the thirty days, if the tenant does not vacate, a holdover proceeding can be commenced in the appropriate local landlord-tenant court. Our firm has extensive experience in drafting leases for house rentals, representing buyers and sellers in real estate transactions, and in landlord-tenant actions. We welcome all inquiries in these areas.